Thought you all might enjoy seeing the sheds from my 2010 buck. 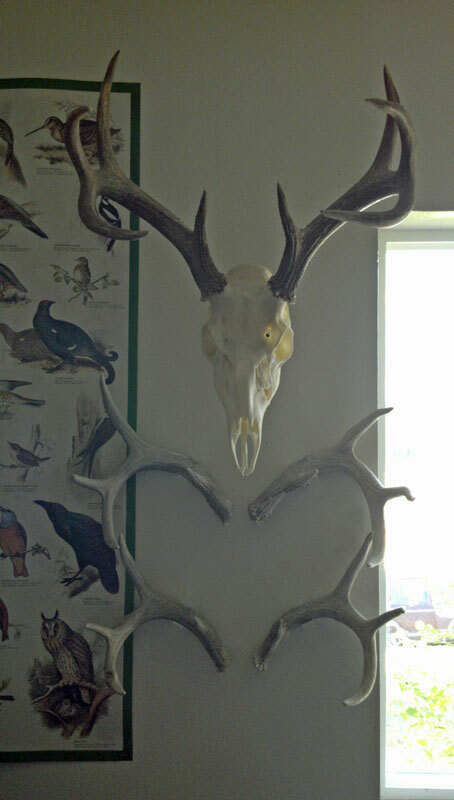 I finally got around to mounting them on the wall under the euro mount of my buck. My friend Scott and I found these sheds over the course of several years and it wasn’t until after we killed my buck that we realized these sheds were from him. So I thought that was very cool.